One little guy I don't often share alot about is Oliver. 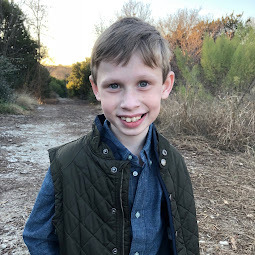 This is mainly because this is Bennett's blog (no worries, he has his own blog, it's just kept private) but I am also a bit more careful about what I share since he's getting older. 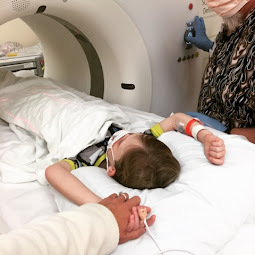 But I thought I would update about how he is doing since I wrote a bit about how CF has affected him a while back (see here and here). As I mentioned earlier, we decided to bring in a play therapist to help us with some concerns we had with Oliver, namely nightmares, irrational fears and difficulty separating from his parents. We have been in play therapy now for about three months and it's been going beautifully! It has been *such* a lifesaver for our family. Within a month or so, we were already seeing big changes in Oliver. And within the last few weeks, we have heard more and more friends and family comment about the changes they have seen within him. He seems to have more confidence, tends to have fewer bad dreams and doesn't seem as concerned when separated from us. Initially, our play therapist believed Oliver's issues were consistent with "Separation Anxiety Disorder." 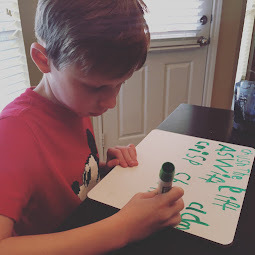 However, during our most recent appointment with Oliver's play therapist, we were told that it seems his behavior is more consistent is "Generalized Anxiety Disorder." We discussed why is having such trouble. He still continues to show excessive anxiety, more than what would be normal for a three year old. The therapist said it is probably a combination of nature and nurture - genetics (anxiety and depression run in our family) and our situation with a new baby in the home who has a chronic illness. She said we might never know what causes his anxiety but what we can know is how to help him work through it. It can be disheartening to see both boys suffer to some extent. 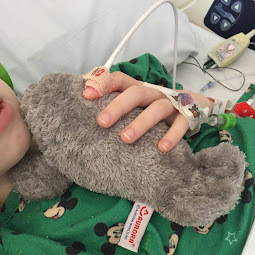 Oliver's suffering is much more internal and much more difficult to know how to treat. But we are incredibly thankful to be near a university that has such a great play therapy program. Our therapist has reassured us that while Oliver is "extremely difficult to engage" in play (signaling his intense anxiety), she will help us figure out how to help him. I attended Oliver's play therapy session for the first time last week (previously, the therapist and Oliver have played alone). I was struck by how children can indicate how they are feeling through play. I will learn more over the next couple of sessions but I already feel like the therapist is a bit like a translator, able to translate to me how Oliver is feeling, why and how I can help him. She is, in essence, teaching me how to connect with my son and learn how I can reassure him and help him feel safe. I don't necessarily understand exactly what is going on and why his anxiety is so high on a daily basis. But I have learned to how to love him more deeply and understand him in a way I didn't before. More than anything, I love that Oliver is getting care from experts who can address his specific needs and make sure he doesn't get left behind in the midst of our focus on Bennett's health. I hate that he struggles with anxiety. But I am thankful that God has given us a reason to make sure to take very close care of him and stay focused on how he is doing. Oliver is an incredible big brother. He is helpful, sensitive, loving, generous and peaceful. He is an obedient son and a good friend to others. He is a wonderful gift from God. We are so fortunate that he is our son. Wow, Oliver looks like such a natural, happy kid. I love the first picture you have of him on this post. Kudos to you for addressing Oliver's needs too. So glad that he is doing better.